At McCulloch-Wilson Dental, being your advocates for overall wellness through oral health means offering solutions that can bring back your smile no matter what kind of trouble it has faced. From the more minor concerns like small cavities to the need for full mouth rehabilitation, we can put together a plan customized according to your needs and goals and help you go from Point I to Point D. Wondering what kind of sense that makes? I represents your lips sealed, and D is the metaphor for your future grin! Before material advancements were made, metal (or amalgam) fillings were the standard for restoring teeth after decay removal. Besides being impossible to hide, amalgam fillings haven’t been the best at preventing further decay, especially because the metal (which includes mercury) could crack with repeated expansion and contraction—something nearly impossible to avoid when you eat and drink both hot and cold foods and beverages. Thankfully, improvements have been made in techniques and materials, and today we’re able to remove decay with more precision and restore your teeth with BPA-free composite fillings. If you’re experiencing sensitivity in teeth that have amalgam fillings or would just like the peace of mind that comes with replacing an old filling with one that blends safely and seamlessly with your smile, we’re able and happy to help! We can remove old mercury fillings and restore your tooth or teeth with BPA-free composite fillings. If decay has claimed more of your tooth structure than a standard filling can replace, an inlay or onlay may be the restorative solution that gets you back to eating and smiling comfortably and confidently. 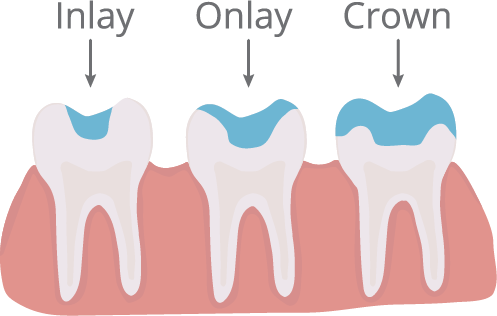 If the decay has been limited to the inner cusps of your tooth, an inlay can restore the function and appearance of your tooth. Onlays are large enough to repair decay that has reached your tooth’s outer cusps. The materials used to create inlays and onlays can vary from composite resin, gold, porcelain, and more, depending on what’s best for your case. Dr. Wilson and Dr. McCulloch can help you make the right decision for your smile. 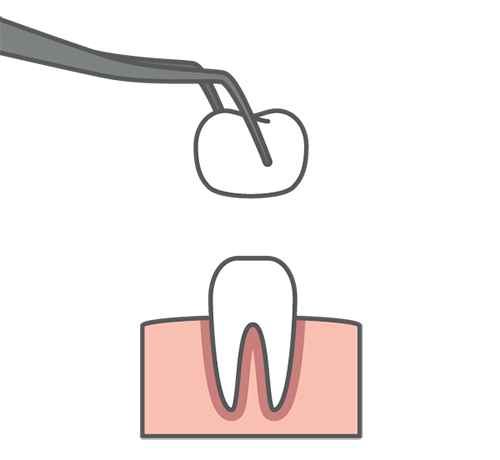 The visible part of your tooth is called your crown, which is covered by enamel. What’s holding your crown in place is a root, and inside that root is dentin and a pulp chamber, which includes blood vessels and nerves. When an infection reaches your inner tooth, it’s incredibly painful and usually means that your natural crown can’t be restored with a filling, inlay, or onlay. The next step in restorative dentistry is crowns, which are tooth-shaped caps that get you back to living life without pain. There are machines able to produce crowns in a single visit, but at McCulloch-Wilson Dental, we believe the strongest, longest lasting crowns are fabricated in our trusted laboratories. With the assistance of a CBCT Scanner, we can obtain accurate digital impressions without the need for you to bite into messy materials. Though you’ll need to revisit us after the placement of a temporary crown, we think your completed permanent crown will be well worth the wait. It will look and feel natural, secure, and comfortable in your mouth. If you’ve lost a tooth due to gum disease, extensive decay, or injury, a dental bridge can comfortably and permanently fill in the space. We are able to restore smiles with traditional, cantilever, Maryland, and implant-supported bridges at McCulloch-Wilson Dental. Traditional bridges may be recommended when the space in your mouth has two healthy neighbors. These teeth will be prepared for the placement of crowns, which will support the replacement tooth in the middle, also known as a pontic. 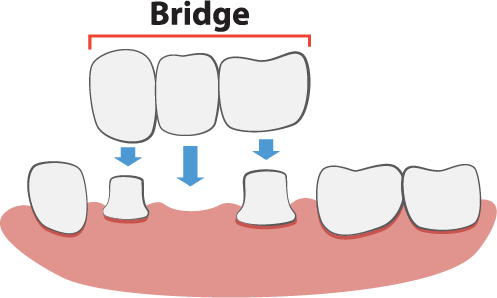 Cantilever bridges are an option for gaps without healthy teeth on both sides. This usually means the missing tooth is a molar in the back of the mouth, and because molars receive a lot of force when you chew, durable materials are needed in this instance. Maryland bridges have a pontic that is bonded to neighboring teeth with metal or porcelain framework, which means preparation of those teeth is unnecessary. This option may be preferred because it’s conservative in that regard, but it might not be as durable as a traditional bridge. For the most secure, natural-looking and feeling solution, we would recommend an implant-supported bridge. To learn more about them, please visit our Dental Implants page. Dentures today have kept up with the advancements in dental technology and materials, so if you’re one of the 20 million Americans living without teeth, there is hope. Full dentures can be crafted to fit your mouth comfortably, stay firmly in place, give you a beautiful smile, and get you back to enjoying life. 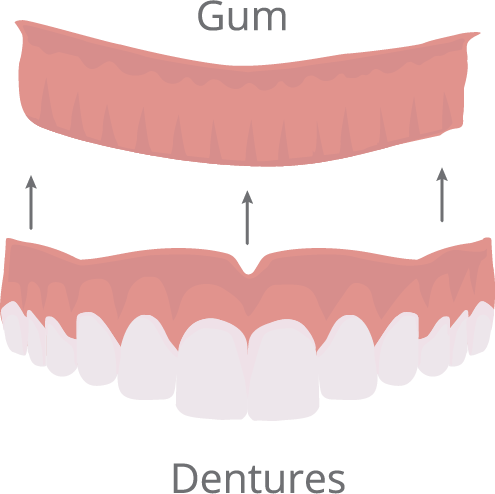 If you have a few or several healthy teeth remaining, we can craft one or a set of partial dentures for you, too. Those healthy teeth and their roots can help you preserve jawbone strength and your facial esthetics, so we want to help you hold onto them. When we develop your customized treatment plan, implant-supported dentures, Hybridge®, and All-on-4® Teeth in a Day may also be in your realm of restorative possibilities. The most important things to keep in mind are that you’re not alone on this journey and we are here to happily help bring back your smile and quality of life! When we say there’s a solution for every dental problem, do you feel a twinge of doubt? If you have dental fears and you haven’t seen a dentist in years, or you’ve experienced a traumatic orofacial injury, or have suffered from tooth decay, gum disease, or a chronic illness that’s made you lose hope of ever having a healthy, happy mouth, we want you to know restoring smiles and hope is something we’re honored to be able to do. Our practice is equipped to provide full mouth reconstruction, and our team has the experience and compassion you deserve on your journey toward better oral health and overall wellness. We can begin with a comprehensive one-on-one consultation, where Dr. Wilson or Dr. McCulloch will go over your medical and dental history, discuss any concerns you have, including your budget and timeframes, then create a plan that achieves your goals. Full mouth reconstructions can combine a number of oral surgeries and tooth replacement options that will depend on your needs and wishes. Our advanced technology makes the process more comfortable and precise; if you’re anxious or the procedures in your plan may be lengthy, we can help you relax with our sedation options. If you feel your goal is out of reach financially, we’d be happy to help you figure out a payment plan that works for you. A Healthy Smile is Part of a Healthy Life! If you have any questions about our restorative dental services or would like to schedule a consultation with your Katy restorative dentists, Dr. Wilson and Dr. McCulloch, we’d love to hear from you!